Journey Through "The Secret Life of Plants"
(1977) Journey Through "The Secret Life of Plants"
Singles from Stevie Wonder's Journey Through "The Secret Life of Plants"
Stevie Wonder's Journey Through "The Secret Life of Plants" is an album by Stevie Wonder, originally released on the Tamla Motown label on October 30, 1979 (see 1979 in music). It is the soundtrack to the documentary The Secret Life of Plants, directed by Walon Green, which was based on the book of the same name by Peter Tompkins and Christopher Bird. Wonder created the film score by having Michael Braun, the film's producer, describe each visual image in detail, while the sound engineer, Gary Olazabal, specified the length of a passage. This information was processed to a four-track tape (with the film's sound on one of the tracks), leaving Wonder space to add his own musical accompaniment. Wonder attempted to translate the complex information of the book and film into song lyrics. "Same Old Story," for example, tries to convey the scientific findings of Jagadish Chandra Bose, who developed instruments to measure plants' response to stimuli, and the breakthroughs of African-American agriculturalist George Washington Carver. While written mostly by Stevie Wonder, a couple of songs were collaborations with former wife Syreeta Wright and with Michael Sembello. Journey Through "The Secret Life of Plants" contained new synthesizer combinations, including the first use of a digital sampling synthesizer, the Computer Music Melodian, used in most tracks of this album. Journey is an early digital recording, released three months after Ry Cooder's Bop till You Drop, generally believed to be the first digitally recorded popular music album, with this album being the second (and charting higher than the album Cooder produced). Stevie Wonder was an early adherent of the technology and used it for all his subsequent recordings. Motown released the album as the long-awaited sequel to Stevie Wonder's 1976 Grammy Award-winning Songs in the Key of Life. Such was Wonder's commercial appeal at the time that Journey went all the way up to number four in the Rock and R&B Billboard charts in 1979 and was also certified platinum by Productores de Música de España, while the single "Send One Your Love" also reached number four. Journey Through "The Secret Life of Plants" has sometimes been considered a 'vague' and 'overambitious' album; it has been called "goofy", "nerdy", "odd", "pointless" and "foolish", and for listeners and critics it was seen as too much of a departure from his string of melodic albums. However, some critics have also described it as "courageous", "achingly sweet", and "bafflingly beautiful". Stephen Holden in a review for the Village Voice remarked that the album has "the painful awkwardness of a barely literate sidewalk sermon", though Wonder "manages to transform even the worst of this drivel into a spiritual jargon that's virtually a different language; his very in-articulateness clears the way for us to tune in to the ineffable, nonrational flow that's his obsession." Wonder remarked in 2004 that the album "was an experimental project with me scoring and doing other things I like: challenging myself with all the things that entered my mind from the Venus's Flytrap to Earth's creation to coming back as a flower." The cover of the album was selected by Rolling Stone in 1991 for their list of 100 Classic Album Covers as a memorable example of album art. All tracks written, produced and arranged by Stevie Wonder, except where noted. Lead vocals and lyrics by Syreeta Wright. Lyrics by Stevie Wonder and Stephanie Andrews. Ron Kersey - Fender Rhodes on "A Seed's a Star/Tree Medley"
Dennis Davis - electronic drums on "A Seed's a Star/Tree Medley"
Earl DeRouen - congas, bongos, backing vocals on "A Seed's a Star/Tree Medley"
Joe Johnson - bells on "A Seed's a Star/Tree Medley"
Ibrahim Camara - djembe, congas, bells, drums, vocals on "Kesse Ye Lolo De Ye"
Lamine Konté - kora, vocals on "Kesse Ye Lolo De Ye"
^ Zita Allen, "Stevie Wonder," Stereo Review, May 1980, p. 59. ^ Jack Ryan, "Recollections, the Detroit Years: The Motown Sound by the People who Made it", Glendower Media, 2012, p. 202. ^ Mark Vail, "The Synthesizer: A Comprehensive Guide to Understanding, Programming, Playing, and Recording the Ultimate Electronic Music Instrument", Oxford University Press, January 2014, p. 72. ^ "Sólo Éxitos 1959-2002 Año A Año: Certificados 1979-1990" (in Spanish). Iberautor Promociones Culturales. ISBN 8480486392. ^ Nathan Brackett; Christian David Hoard (2004-11-02). The New Rolling Stone Album Guide: Completely Revised and Updated 4th Edition. Simon & Schuster. p. 885. ISBN 978-0-7432-0169-8. ^ Starr, Red. "Albums". Smash Hits (November 15–28, 1979): 31. ^ Gini Gorlinski (20 Dec 2009). The 100 Most Influential Musicians of All Time. The Rosen Publishing Group. p. 325. ^ a b c Francesca T. Royster (26 Dec 2012). Sounding Like a No-No: Queer Sounds and Eccentric Acts in the Post-Soul Era. University of Michigan Press. p. 67. ^ Stephen Holden, "The Last Flower Child", Village Voice, December 3, 1979, p. 53. ^ "Billboard Century Award: Q & A", Billboard, December 11, 2004, pp. 15-16. ^ James E. Perone (2006). The Sound of Stevie Wonder. Praeger. p. 166. 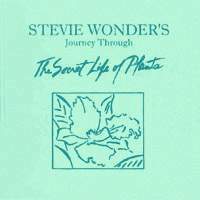 ^ "Dutch album certifications – Stevie Wonder – ourney Through "The Secret Life of Plants"" (in Dutch). Nederlandse Vereniging van Producenten en Importeurs van beeld- en geluidsdragers. Retrieved 16 April 2019. Enter ourney Through "The Secret Life of Plants" in the "Artiest of titel" box.